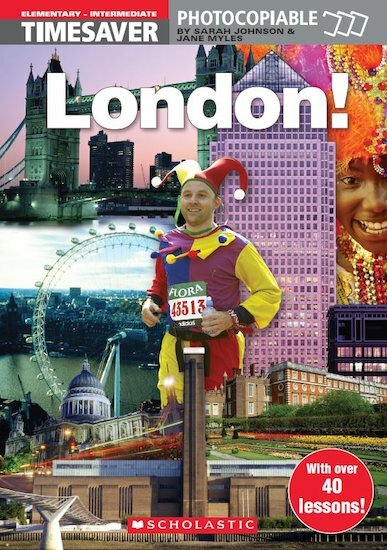 This book contains a variety of reading texts, activities and games on every aspect of London life – sightseeing, travel, sport, shopping, museums, galleries and, of course, on Londoners themselves. Each activity provides structured language and vocabulary practice, with suggestions for discussion and follow-up pairwork and groupwork. Topics cover areas as diverse as Hamley’s Toy Shop, Cockney Rhyming Slang, Party in the Park and London Football Clubs as well as the more historical side of London: Buckingham Palace, Big Ben and the Tower of London. A free poster-sized map of the capital also comes with Timesaver London! with accompanying ideas for class exploration.